Have you ever fallen in love with your worst enemy? "Shall we date? : Ninja Love+" is a dating simulation game. A bitter sweet romance set in the Sengoku era in Japan. Will you choose your enemy over Ninjas? ==="Shall we date? 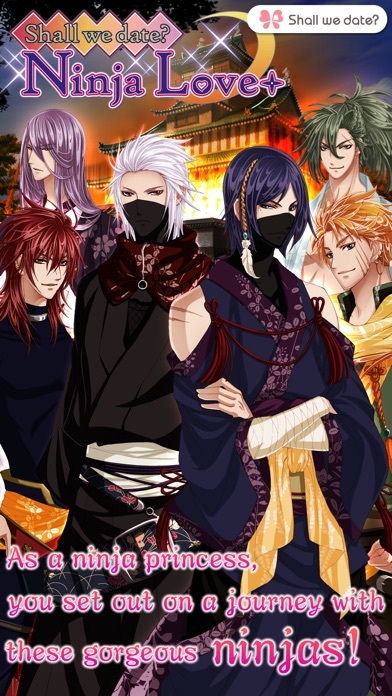 : Ninja Love+" is the extended version of the popular Shall we date? : Ninja Love for GREE"=== What's new in Ninja Love+? No. 1. 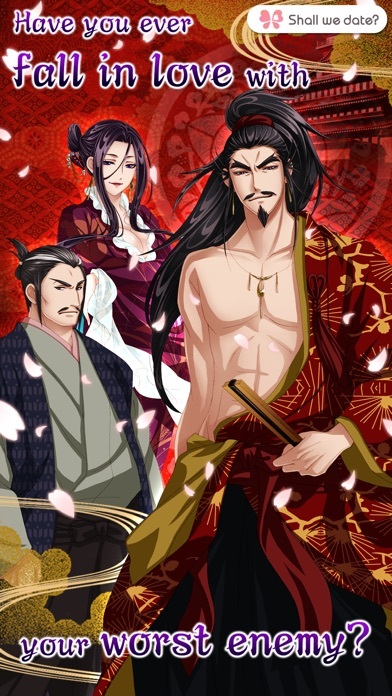 Newly added character - Nobunaga Oda Now you have a chance to date the leader of Oda clan, the ambitious warlord trying to conquer the world. In addition, Spin-off, Event Story you can't find in Ninja Love for GREE. No. 2 Dress your　own Avatar Be a fashion icon and a cutie no one can resist! No. 3 Play our exciting minigames More features are added like you can choose a weapon to beat your enemy, train yourself to increase the charm level and more… ===Outline=== A romantic adventure life with handsome ninjas and hidden feelings of love… Engage in battles with the survival of the ninjas hanging in the balance, seek out and conquer true romance, and achieve success in both love and adventure! You are suddenly informed that you are actually a princess of ninja origin. 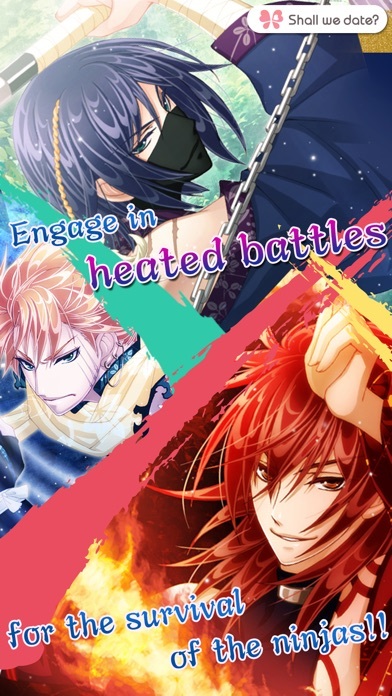 Engage in heated battles for the survival of the ninjas, while also enjoying sweet romance with handsome ninjas!! Time to set out on a romantic journey with ninjas. ===Features=== *Multiple-ending stories: Each ending change according to the specific conversations between you and your chosen character. *You can enjoy a number of wonderful adventures while clearing a variety of characters and stories! *Receive high quality photos and Mails throughout the story! *A full rich social network: Invite other players and send messages to each other! *Contains a variety of bonuses, including a Log-in Bonus. ===Facebook=== We've launched our Facebook page of “Shall We Date” series. Please come and visit us! https://www.facebook.com/ShallWeDate.NTTSolmare *Attention for iOS 7 users* The problem for iOS 7 users arises when they failed to access the app. How to fix it? Go to Setting > Safari > Block Cookies > check "From third parties and advertisers" And please activate the app again.